Qatar World Rally Team’s Thierry Neuville remains on target to secure second place in the FIA World Rally Championship’s drivers’ standings having retained a top-three position on the second day of competition at Wales Rally GB. Elfyn Evans also took a step closer to his goal with his Qatari-liveried Ford Fiesta R5, sustaining the top-spot in the WRC 2 category. The season finale had a familiar flavour today as crews tackled two passes of three of the championship’s most famed and challenging speed tests: Hafren, Sweet Lamb and Myherin. The mud-strewn stages made the day’s rallying all the more daunting, but all four Qatari-supported crews made it through to finish safely inside the overall top-ten. Letting the front-runners loose, Neuville and co-driver Nicolas Gilsoul were under no illusion that their inexperience could pose a disadvantage today. Despite setting some positive times, the 25-year-old took an intelligent approach given the tricky nature of the stages. Concentrating on his second place in the drivers’ championship as opposed to going all-out for glory, the Belgian ended the day a respectable third on what is his first venture to the Welsh forests with the Ford Fiesta RS WRC. In the Qatar M-Sport World Rally Team, Mads Østberg and Jonas Andersson piloted their Fiesta RS WRC to fourth place overall – less than 30 seconds adrift of the podium. Although struggling to find the optimum set-up, the Scandinavian pairing will be eager to take an advantage as the event continues. 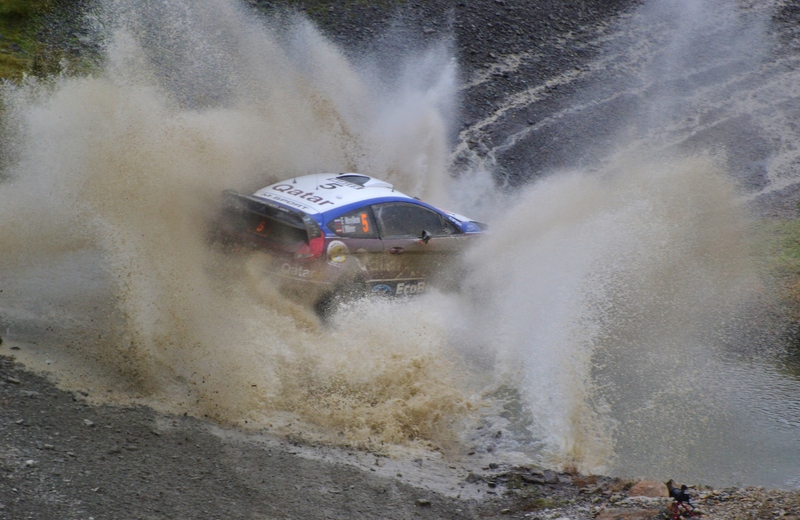 In the sister Fiesta RS WRC, Evgeny Novikov and Ilka Minor climbed three places in the overall rankings. The Russian was back on form as he combined his customary dose of ‘maximum attack’ with consistency. Indeed Novikov was never out of the top-five on individual stage times and will be keen to make further strides in the coming days. 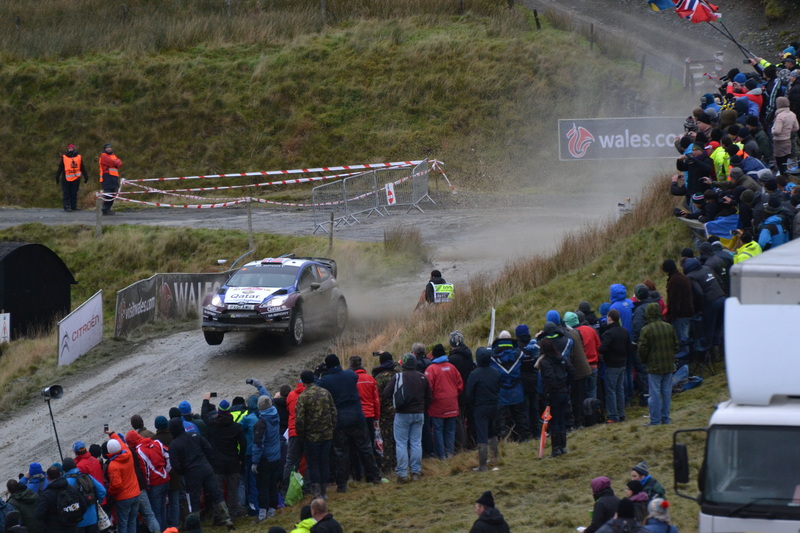 Once again however, it was in the WRC 2 category where the Welsh fans would find their success story as local-man Evans extended his lead of the class. Increasing their advantage to almost half a minute, Evans and co-driver Daniel Barritt are in the perfect position going into their favoured stages tomorrow. “It’s been a good day. 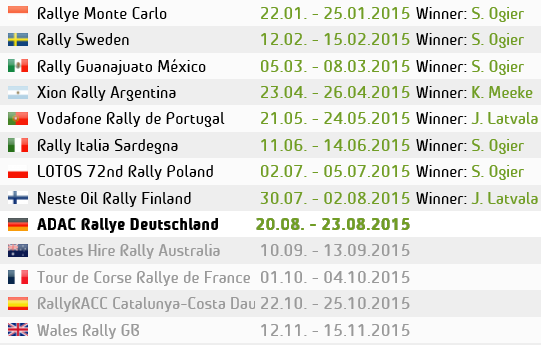 OK, it’s been very difficult out on the stages – difficult to judge the pace and to know exactly how hard to push. One minute you have grip, and the next minute you haven’t, so it has been difficult to judge the conditions. Overall, we’ve increased the gap and we’re still in first place so we’ve got to be happy with that. “Thierry [Neuville] put in another strong performance today. He is not so familiar with these stages as the other drivers. After what happened to Robert [Kubica] and Mikko [Hirvonen] I think there may have been an air of caution as he focused on the bigger picture and ensuring that he finishes the season with second place in the drivers’ championship. That said, he proved this morning that he had the pace – setting the second fastest time on SS4.